What is LATISSE™? LATISSE™ solution is a prescription treatment for hypotrichosis used to grow eyelashes, making them longer,thicker, and darker. Eyelash hypotrichosis is another name for having inadequate or not enough eyelashes. How does it work? LATISSE™ is believed to affect the growth (anagen) phase of the eyelash hair cycle in 2 ways: first, it increases the length of this phase; and second, it increases the number of hairs in this growth phase. The exact way it works is unknown. How soon will I see results? The onset of effect with LATISSE™ solution is gradual. In clinical trial, the majority of LATISSE™ users saw a significant improvement by 2 months. How is LATISSE™ different? Only LATISSE™ has been approved by the FDA as a prescription treatment for hypotrichosis used to grow eyelashes. It also has been studied in clinical trial to demonstrate its safety and effectiveness. LATISSE™ Prescribing Information. Click here to download a PDF brochure of Latisse™, the only FDA approved prescription product for inadequate or insufficient eyelashes. Visit the Latisse™ web site for more information or contact us today to purchase this product. "I am writing for two reasons. First, I have known Chris Weber over 10 years. I began seeing her when I was approximately 40 years old. Although she was aware of my desire to take good care of my skin, I would like to first thank her for the level of professionalism, care, and dedication she displayed each and every time I saw her. Her "steady", respectful, calm deminor made it exceptionally easy to discuss my concerns with her. Chris never wavered regarding her approach-she always gave me the time and her listening skills were extraordinary. PVPS is very fortunate to employ someone with the knowledge base, while having the unique ability to appropriately share/educate this with her patients. Chris's communication skills, encoupled with her years of experience, clearly indicates just how seasoned she is in her field of practice. Anyone can do a "job", but it takes a true successful professional to make her clients feel comfortable, trusting, and the desire to keep coming back. Secondly, prior to moving out of the area, Chris offered her assistance, researching plastic surgeons that would be best suitable for my needs. While I was still settling into my new home, Chris continued to answer any questions, and even introduced me to a new product, which was perfect for my new concerns while living in a "dry" region. Thank you Chris. But, most importantly, during my first appointment at my new plastic surgeon office, I was asked if they could take a special "picture", providing them with a multitude of information regarding how my skin is aging. Thanks to Chris Weber, and the skin product she started me on over 10 years ago, the picture indicated that my skin (externally) put me in the 81st percentile, which means that only 20 percent of women have younger-looking skin. Chris, thank you for keeping me out of the sun and educating me on how to properly take care of my skin. As a true Floridian, where suntans are important and it's fun to go to the beach, THANK YOU PVPS for hiring Chris Weber. Chris, a big hug for being exceptional at your job, as well as a wonderful person." "I have been a skin care patient at PVPS for 4+ years now. It has truly been a life changing experience for me. 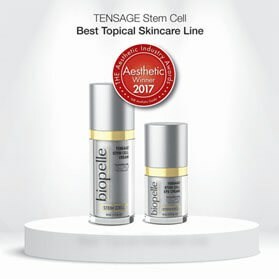 I spent the first 30 years of my life seeing dermatologists, trying all kinds of products (over the counter as well as department store) in attempts to take care of my face. Only to find myself at age 30 with unhealthy, red, inflamed and irritated skin. The minute I put my faith in the professional expertise of the amazing aestheticians at PVPS, my skin turned around instantly. I now get compliments on my skin all the time. Thank you PVPS for bringing health and life back to my skin!" "At first, I was hesitant to undergo the ZO3 Step peel. But after consulting with Andrea, I decided to go through the treatment. She answered my questions and made me feel comfortable. I am glad I did it! I started peeling on day 4 and now my skin looks amazing. I can't wait for my next peel. Thank you, Andrea!" "Emily McLaughlin at PVPS riverside is awesome! Always very professional and nice. She's been doing my facials for over a year now and I highly recommend her, and I have several times." "I can't say enough great things about PVPS! Emily McLaughlin, aesthetician, is absolutely fantastic!! I had been cursed with adult cystic acne & after her expert advise, recommendations & treatments, I rarely have a break out. She is very knowledgeable & I always look forward to our sessions."